Have a quiet time... in the Matapédia Valley. 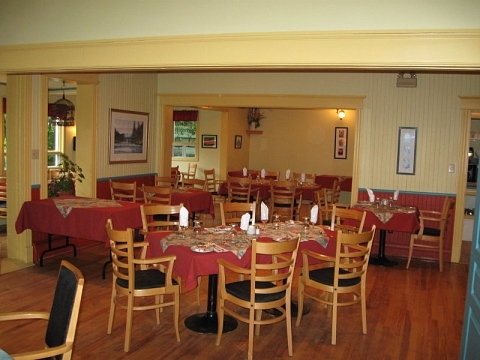 The restaurant offers breakfast, lunch and dinner (seasonal). 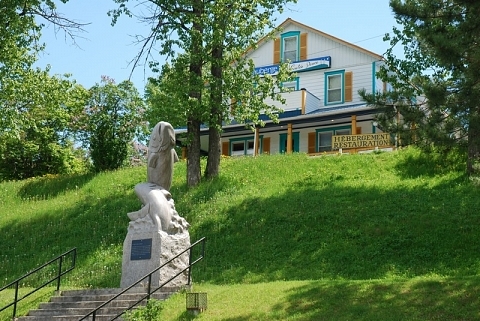 Our cuisine is among the best you will along Gaspésie. You will love our regional dishes, like our speciality, Atlantic salmon. 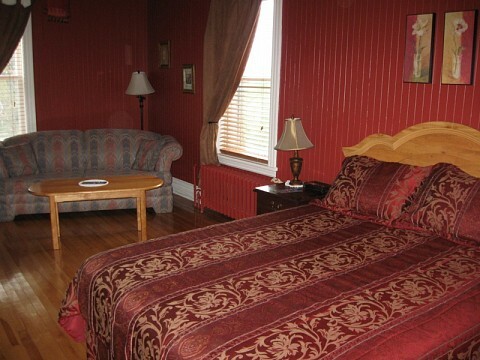 The rooms in the main building have each their own unique style and a charm that will surely help you relax. Private bath and air-conditioning. The modern chalets that are perfect for the vacationing family. Rates 1 pers. 2 pers. Wildlife observation (salmon, moose) and natural sites of great beauty (Chutes et Marais). Inquire about our group rates (package deal).